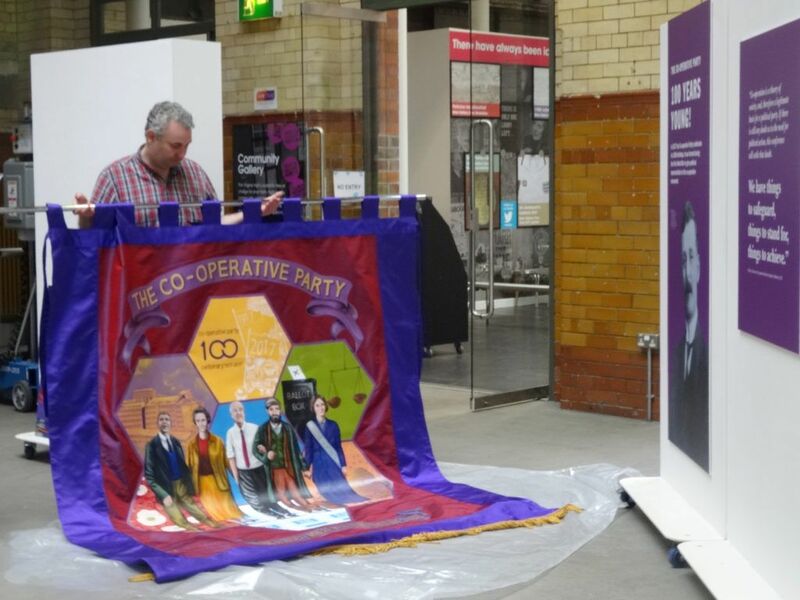 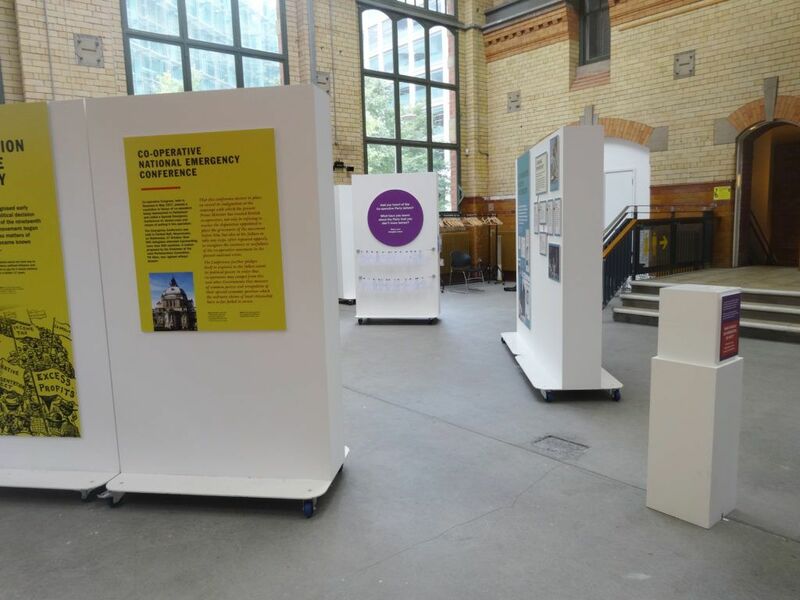 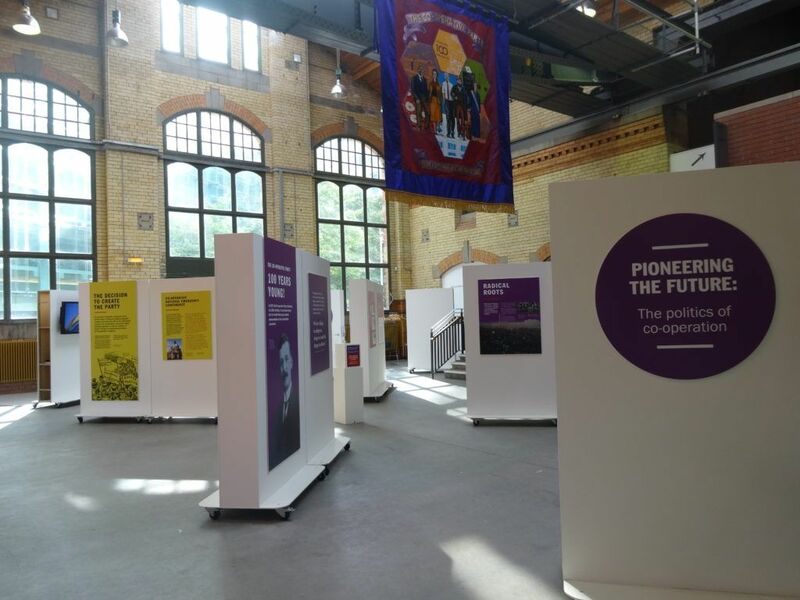 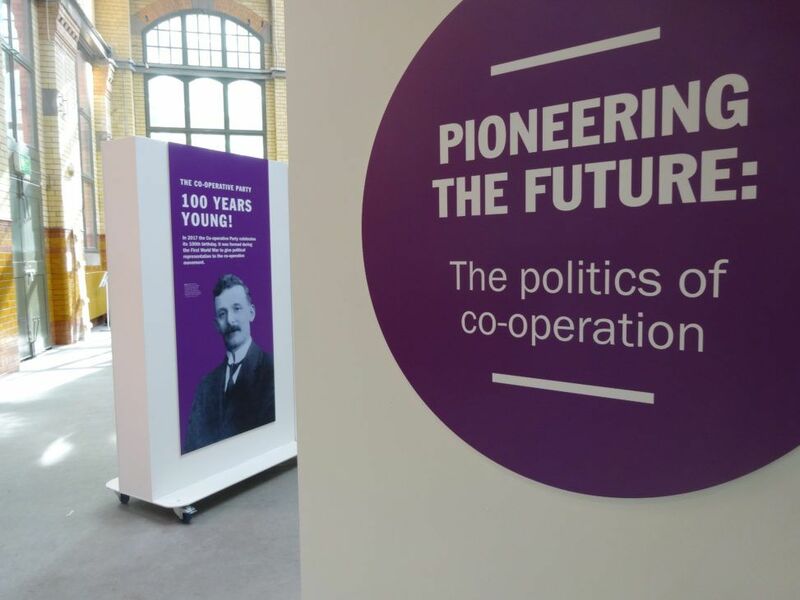 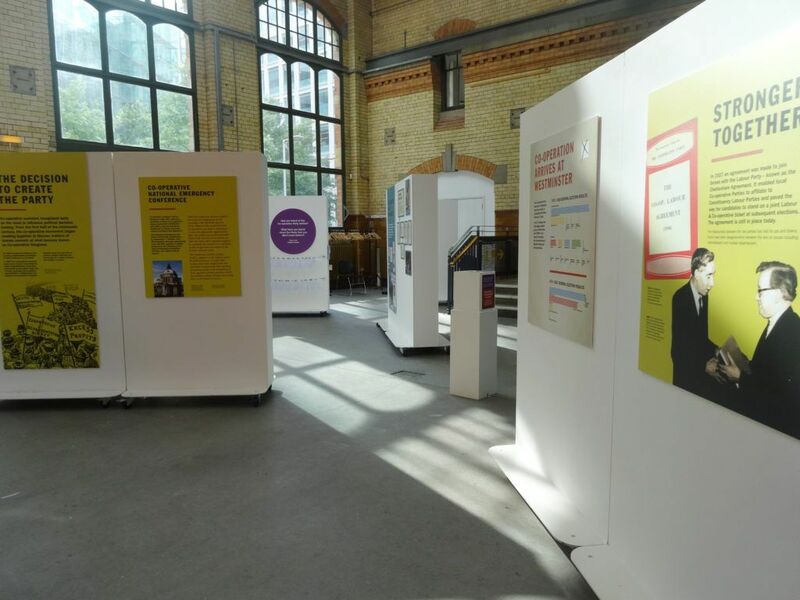 Bivouac was contracted by Minerva Heritage to create a centenary exhibition for the Co-operative Party, at the People’s History Museum, Manchester. 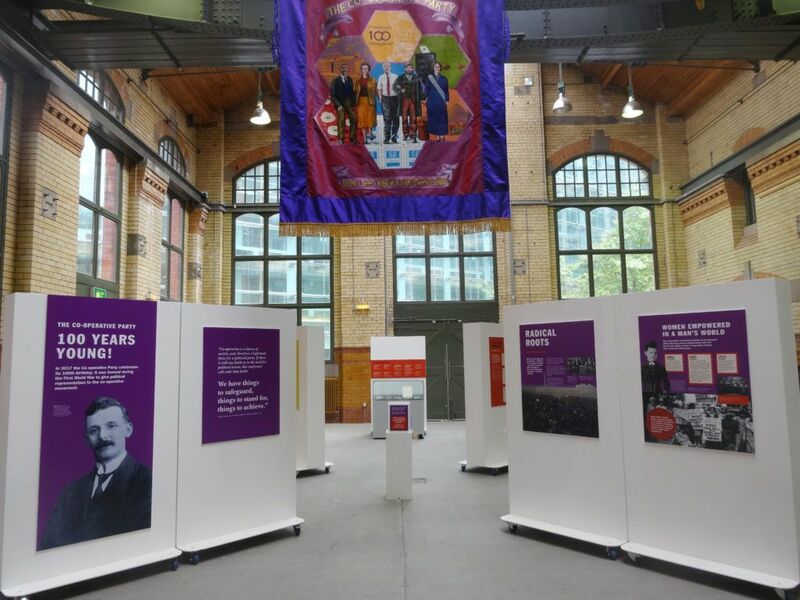 The temporary exhibition was achieved on a limited budget and is designed in a cross formation with a ballot box in the centre and a large Party banner hanging above. 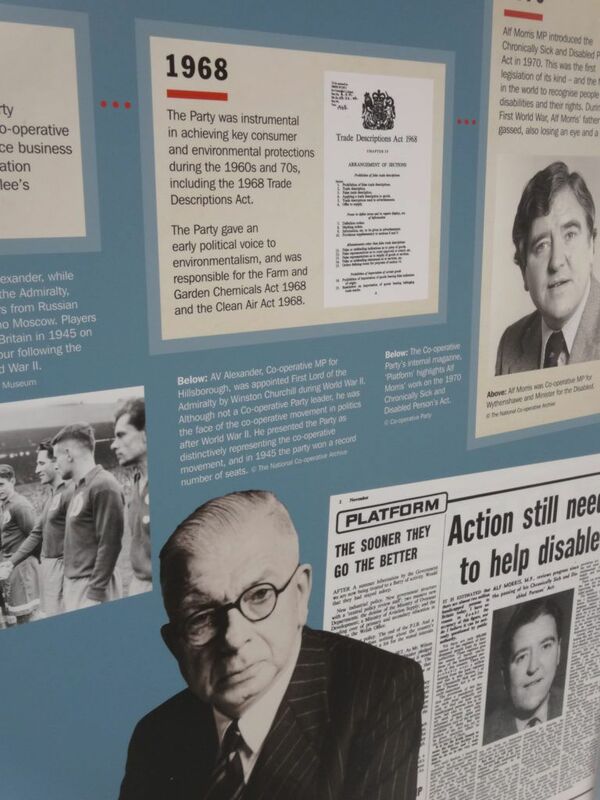 The graphic styling is inspired by the Party’s political historic political pamphlets. 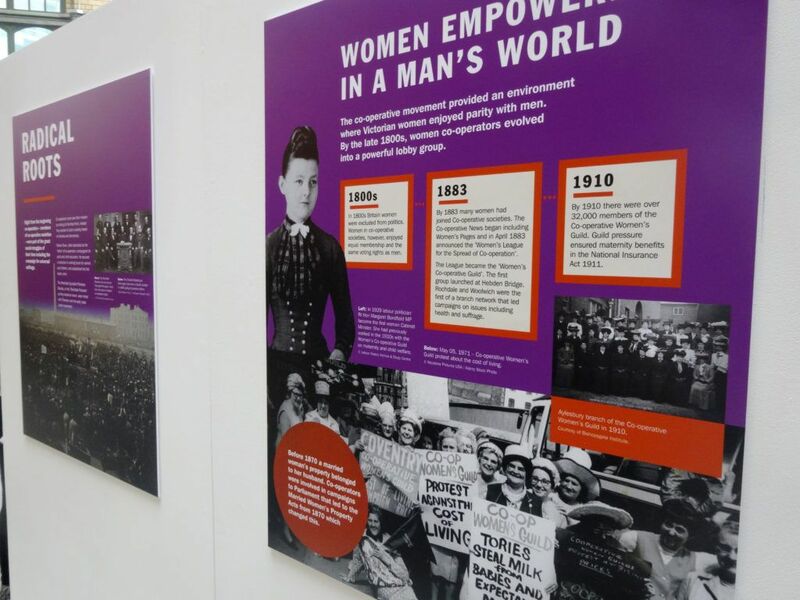 Print was by Extreme Display.